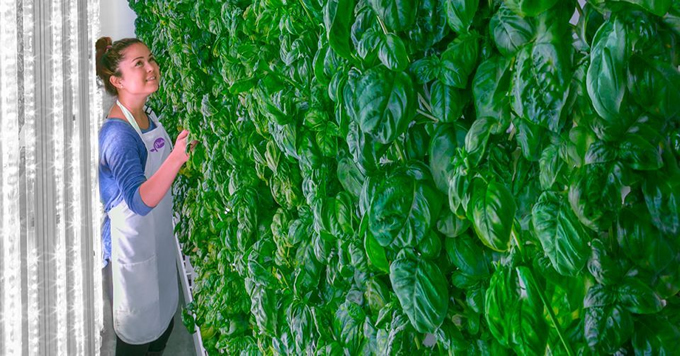 Via Arabian Business: A vertical-farming startup backed by Masayoshi Son’s Vision Fund is building its first overseas outpost - in the United Arab Emirates. Plenty plans to start selling locally grown produce, including kale and other leafy greens, to communities in Abu Dhabi and Dubai early next year. The startup, which has a farm in its hometown of San Francisco, says the company’s indoor technology is more efficient than traditional operations and well suited to harsh climates. Last year’s $200 million investment in Plenty marked Son’s first bet on agriculture. The SoftBank Group chief is interested in how the 4-year-old startup can help nations grow enough food to support the population. Backers of the almost $100 billion Vision Fund include wealth funds from the Middle East, where drought, population growth and lack of arable land are fuelling concerns about food shortages and instability. “It’s in the middle of the desert, it’s hot, and these crops do not like heat,” said Plenty co-founder Matt Barnard, who said SoftBank helped make introductions in the Middle East.